Two years after construction started, the 49ers new Levi’s Stadium in Santa Clara is ready to go for the 2014–15 NFL season. Excitement from 49ers fans has been met with equal skepticism, largely because well … the San Francisco 49ers aren’t based out of San Francisco anymore! But money talks and Bay Area fans are going to have to get used to trips down to Silicon Valley for football games. In Week 3, a 49ers fan started a bloody brawl in the stands at Arizona, last season at Candlestick, a 29-year old fan beat a 15-year old boy, breaking his nose, arm and receiving a concussion. Another fan reported being assaulted by a 49ers fan at that same game as well. And let’s not forget the infamous shooting in the Candlestick parking lot for a 2011 Raiders vs. 49ers preseason game. This shooting sparked the now commonplace “no tailgating after kick-off” policy. And this is just the football team. A woman was beaten following a Giants vs. A’s game at AT&T Park this season. A man was fatally stabbed outside of a Dodgers vs Giants game last season. He was wearing a Dodgers jersey. This comes on the heels of the 2012 Bryan Stow beating at Dodger Stadium in LA. Where if you don’t know, Stow is a Giants fan who was exiting a game at Dodger Stadium and an altercation ensued that saw Stow be beaten nearly to death and suffer permanent brain damage. Stow won a negligence lawsuit against the Dodgers and suspects were apprehended in the case. Dodgers and Giants players have spoken out against fan violence, yet incidents like yesterday’s at Levi’s Stadium keep happening. This has to stop. #StopTheHateSF. This is a call to all SF Bay area sports fans and beyond to #StopTheHateSF. We need to take a stand against against these senseless acts of aggression that are happening all too often and often involving SF Bay Area fans #StoptheHateSF. This is just a simple blog post attempting to call attention to a massive issue. But my goal is to get #StopTheHateSF to trend, in hopes of making fan violence stop in the SF Bay Area and beyond. Help educate and raise awareness. 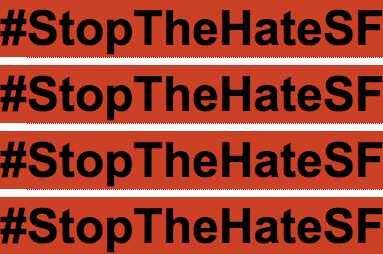 Please share this post, tweet, facebook, talk to your friends about #StopTheHateSF. Follow @EcsctaticBlog on Twitter and like us on FaceBook too. Let’s make a difference. A big segment of my cross country road trip has been visiting America’s baseball stadiums. I started hitting up some ballparks before the road trip and kept it going throughout the drive. I made a guest appearance on Bay Area sports blog Section925’s wonderful podcast to talk about everything from stadium layout and beer selection to pre-game options and expert tips. Peep the link below to hear me and the impeccable Connor Buestad break down my tour of 9 baseball games in 8 cities across America. So in a desperate attempt to wake up the creative juices that give rise to an ‘Everything Ecstatic’ post, I’m posting a link to a Podcast that i was a guest on this week, with the good people at the EastBay Sports-Centric, Section925.com. Enjoy and welcome back to Everything Ecstatic! This is a reblog from Brazilian artist Andre Fidusi, who made a very cool series of prints breaking down the story of every World Cup in super unique minimalist art. What i like best about his art, is that it really made me re-live what happened and think about where I was when you watched it and how i felt. Once you figure out the “code” that Fidusi works with, it all starts to become clear. You might want to start from 2010 and work your way backwards (for memory’s sake). This is really cool stuff (dont mind the Brazilian page, you can google translate or just click on one of the prints and follow the universally lingual works). Click on each piece to be linked to the larger version on Fidusi’s page. Enjoy! All artwork by Andre Fidusi. 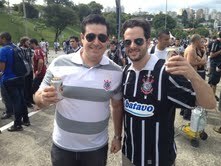 It was a hot sunny Sunday and Corinthinas were playing lowly Linense from the inner part of the state of Sao Paulo. Corinthinas is based in the heart of the city of Sao Paulo and is one of 3 major teams based out of here. They’re really like the Raiders of the Brazilian league. They play tough, physical soccer and have a notorious reputation for doing so, as do their fans. Brazilian soccer by nature is very physical and gritty. Unlike the super technical and precise English Premier league, the Brazilian style features HARD fouls (a lot of em), lots of flopping and just flat out agressive soccer. 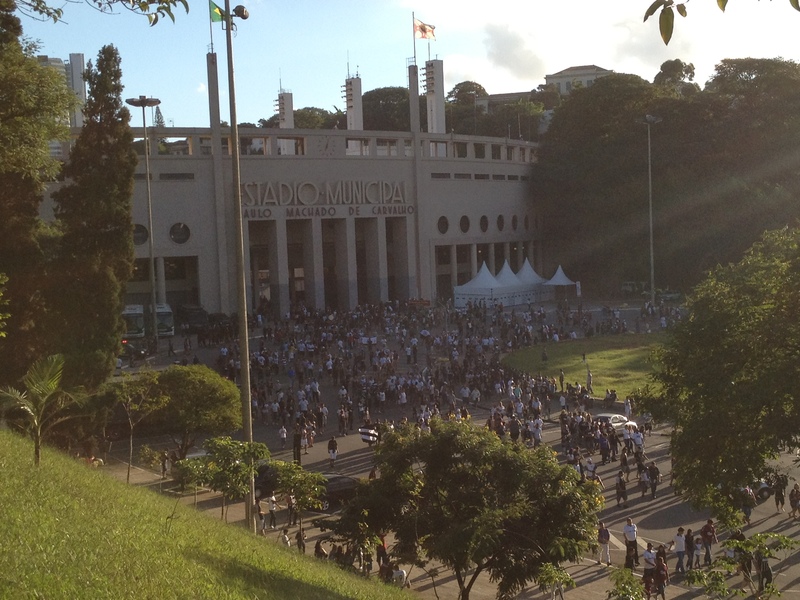 The chant is “Timao-aaaaooooo! Eh-Oh! 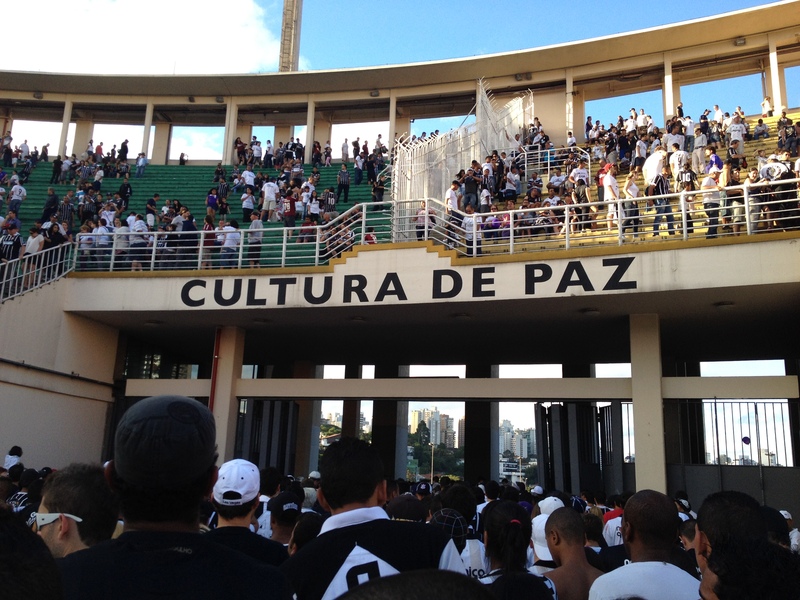 Timao-aaaaooo! Eh-Oh! !” Which means “Best team” or “Biggest team” or “Our team”… In Portuguese, one word or one conjugation can have many meanings. One final reminder to keep the peace and not fight with each other as you leave. The police force is pretty stacked at the game, you can see some of them along the track in the video. The visiting team had a small section across the stadium from where we were and theres a dedicated force standing along their section as well. 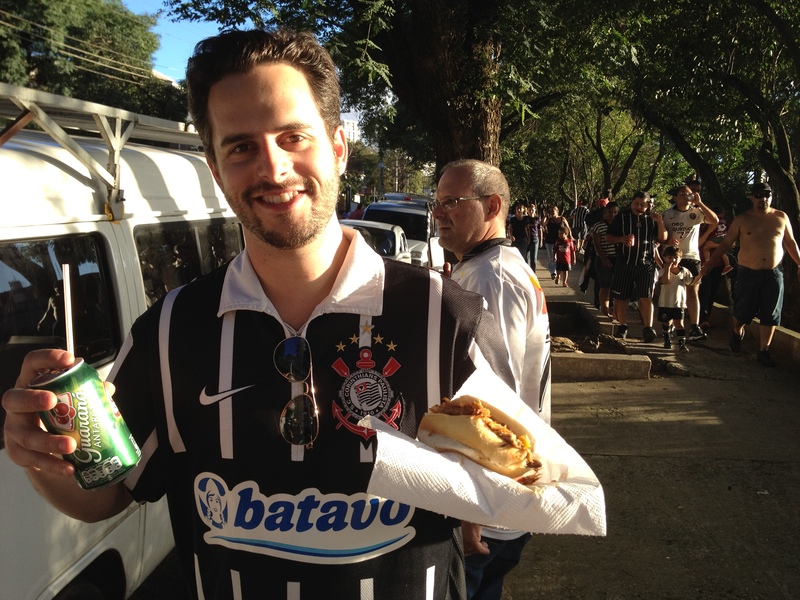 And that’s how we do a day of Futebol no Brasil! Tchau pra todos!